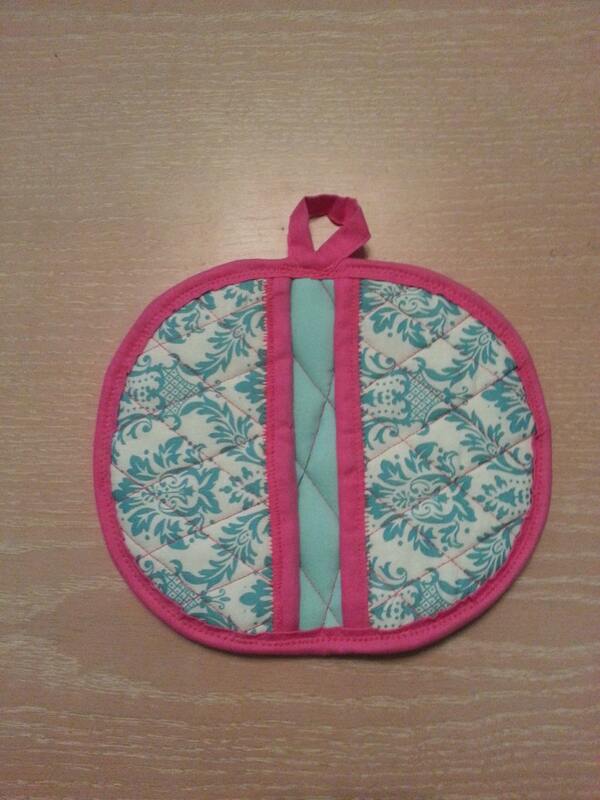 This durable Potholder is made of various fabrics and Insul-Bright ( Heat Protecting Insulation ) Can also be used as a Trivet to protect your dining surface. Each may differ a little in size and print cutting. ( 1 )----8-3/4" x 7-1/2" , Oval in shape, when folded, slip thumb in one side and fingers in the other pocket side. When Flat use as a Trivet. Print--on outside / Solid color--on inside, and complimenting Trim color w/ hanging loop.